This is the rear of the AX08. The colored connectors are the +10 and -15 volt DC power supply connection. 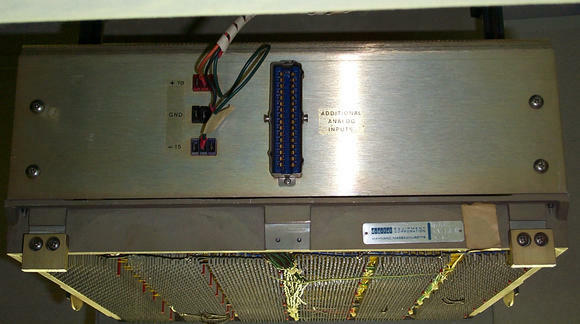 The big blue Amphenol "blue-ribbon" connector contains the analog inputs for 20 of the analog input channels. The first 4 are on the front panel.